Stiebel Eltron have been producing heat pumps for 30 years, to the highest standards of German engineering. 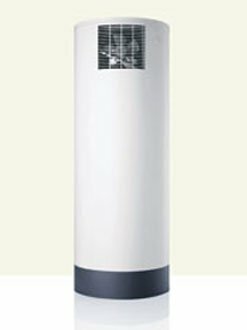 Now, Enviro Friendly Products is proud to offer the Stiebel Eltron domestic heat pump hot water systems to our customers. Why Stiebel Eltron? They are Germany’s market leader in heat pump technology. Tried and tested technology for over 30 years to give you real energy, environmental and money savings. Over 30,000 heat pumps are produced each year in the most modern production factory in Germany. * Price includes GST. Please ring for delivery cost in your area. + Renewable Energy Certificates vary in number in different areas. This is for Zone 3. As at December 2nd., 2009, their value is approximately $28. For enviro-friendly tips and news, be sure to subscribe to our free, treeless email newsletter, and please, tell your friends about us!